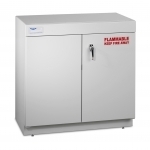 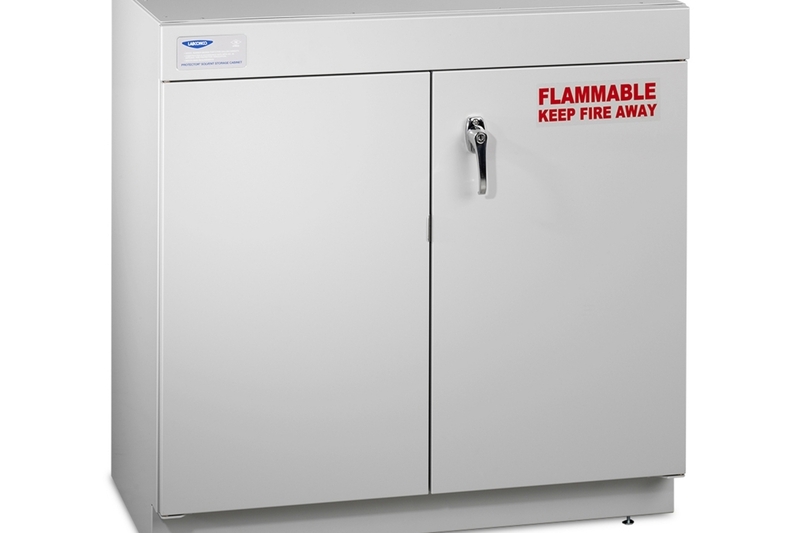 Protector Solvent Storage Cabinets support Labconco fume hoods and safely store and vent solvents and other flammable liquids. 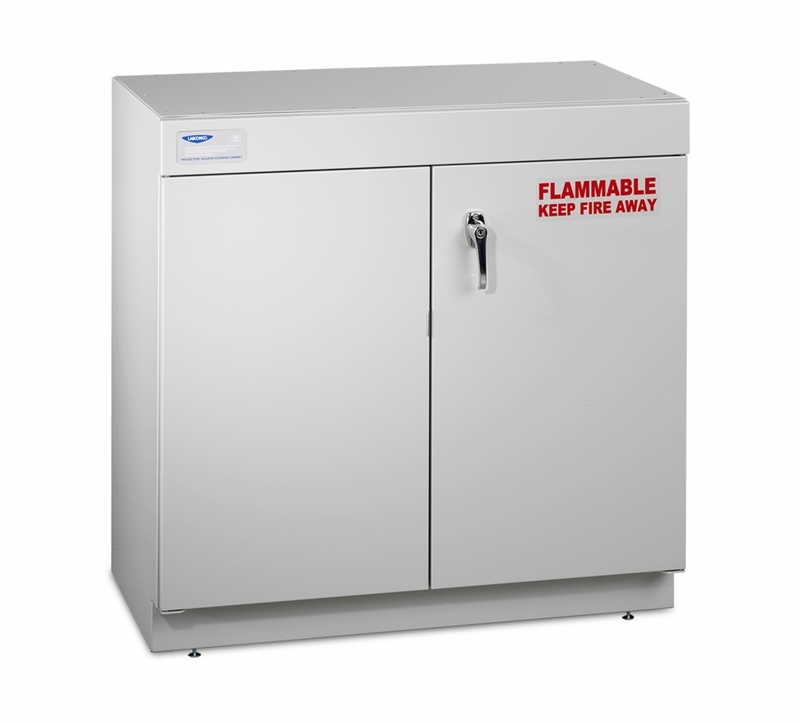 In case of a building fire, these cabinets protect the contents inside them. 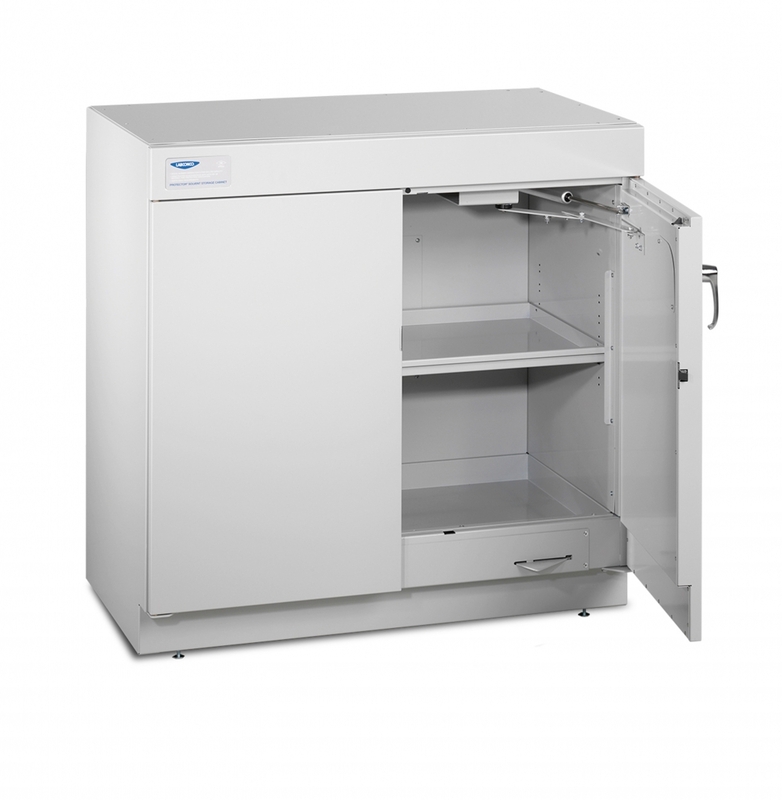 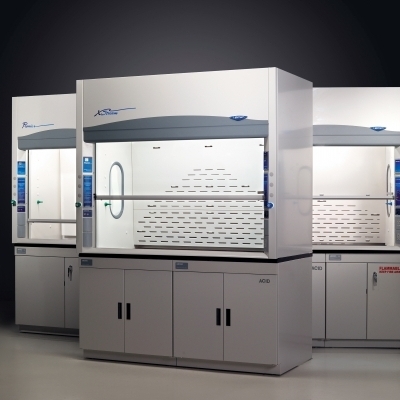 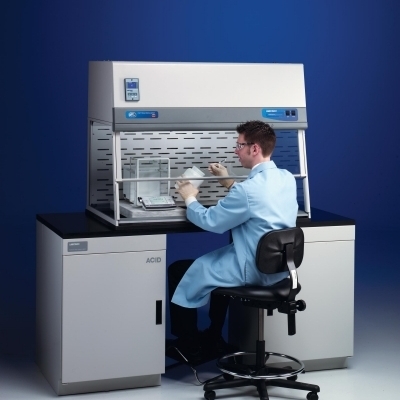 Attractive glacier white exterior complements laboratory casework and Labconco fume hoods. 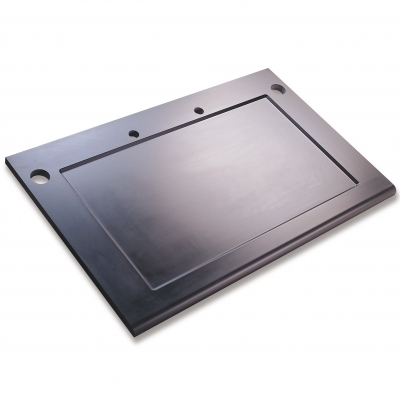 Include four leveling feet and one 8" filler panel to increase cabinet depth from 22" to 30". 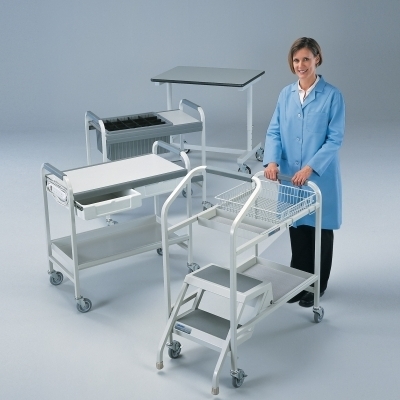 Support loads up to 800 pounds.